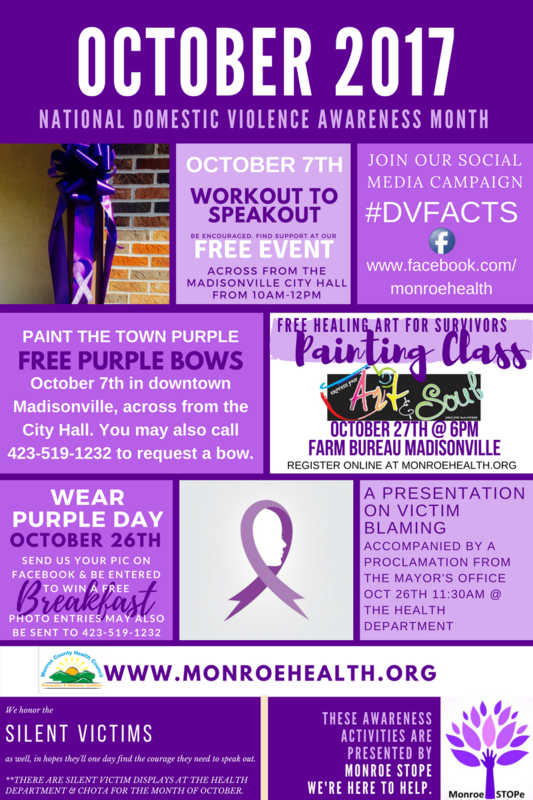 October is Domestic Violence Awareness month, during which Monroe STOPe and the Monroe County Health Council will be painting the town purple! Join our awareness campaign and show your support for those affected by Domestic Violence! Call Monroe STOPe at 423-519-1232 to request a FREE ribbon or other materials today! Help us advocate and educate to STOP Domestic Violence in Monroe County!